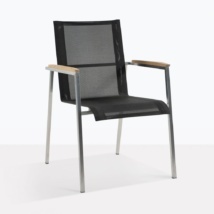 The Tango teak chair mixes outdoor mesh, A-grade teak and stainless steel to create a classic, stylish and versatile dining chair that will please many different tastes. 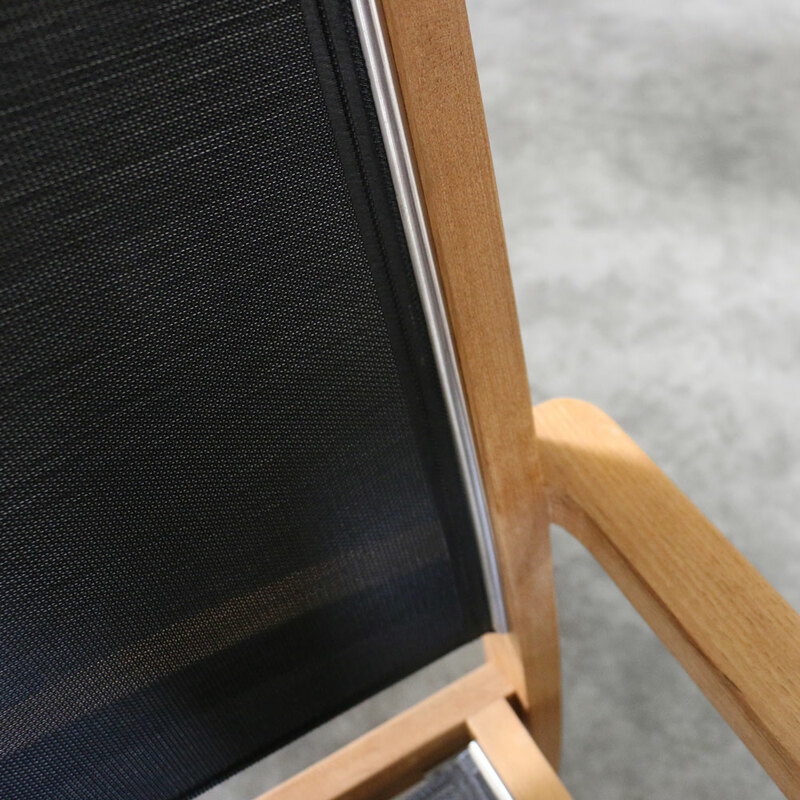 The A-grade teak frames the mesh beautifully for a craftsman style finish that makes it interesting and elegant. 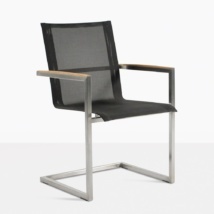 Outdoor mesh makes this dining chair very comfortable and sleek so that you don’t need seat cushions. And it stacks brilliantly for easy storage. Use this dining chair indoors or out! 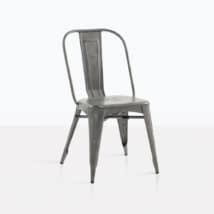 Update your kitchen nook with this chair or host evening dinners on your balcony as you watch the sailboats glide by. 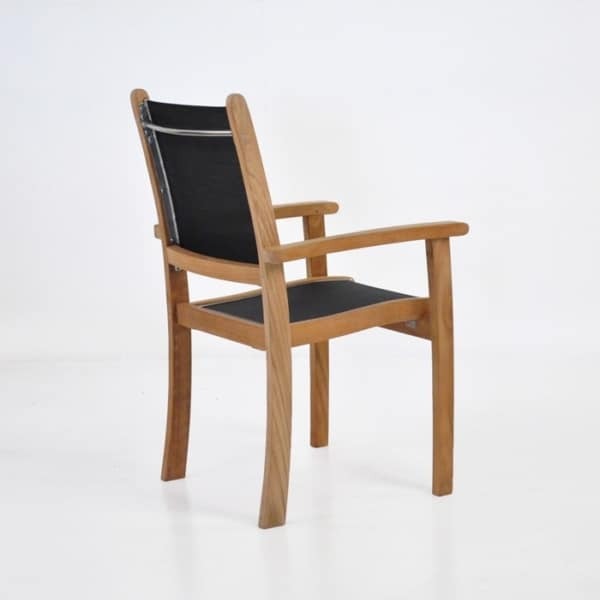 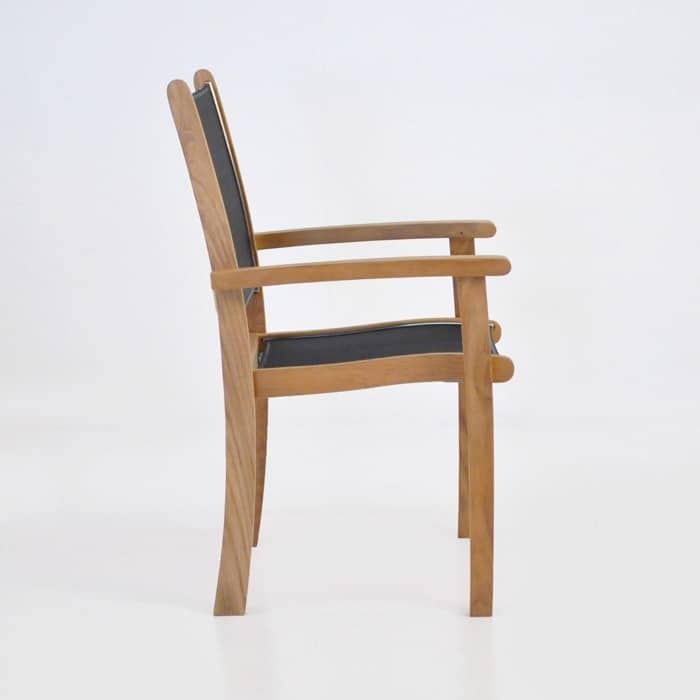 This chair is made of the highest quality and will be a timeless piece that you can enjoy for a long time. 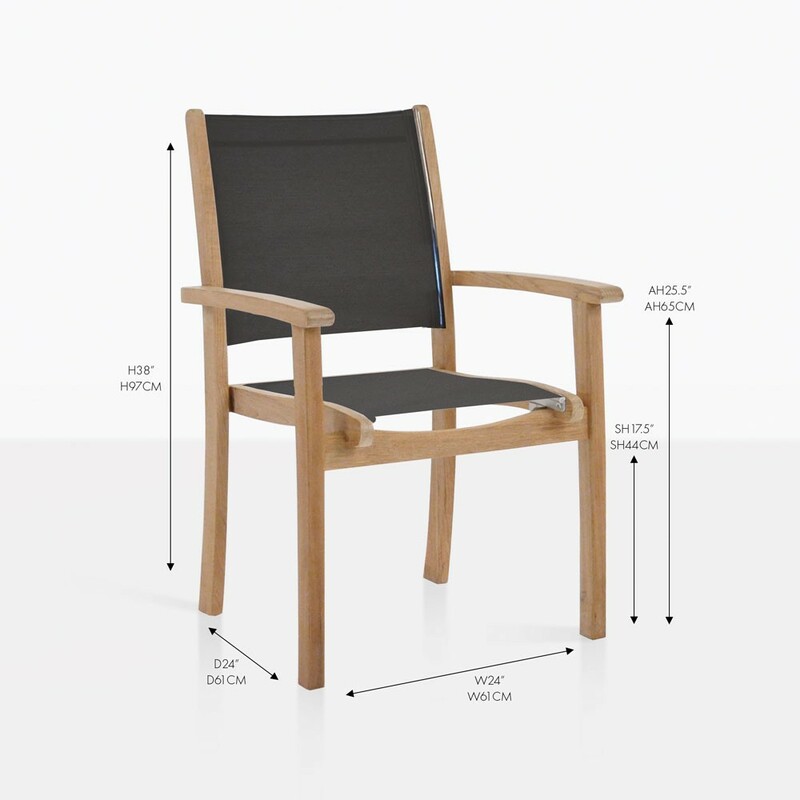 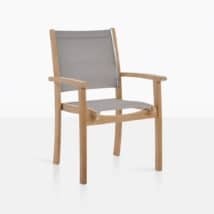 The chair is also available in white or taupe.